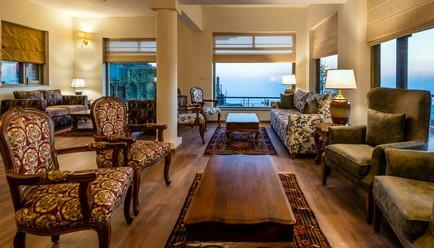 Be one of the first guests to experience this newly opened luxury resort in Mussoorie. 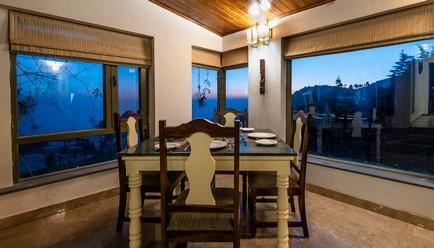 Admire the rows of pines, the narrow hilly terrain as you reach your abode for the next few days. 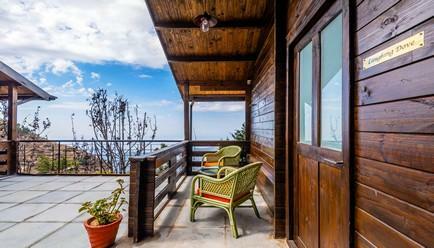 Majestic mountains, plush apple orchards all around and a boutique stay experience, this is exactly what this trip to La Ri Sa Mussoorie has in store for you. 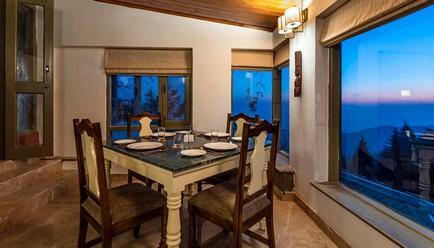 Relax and unwind in the lap of nature, walk around the apple orchards or enjoy the exquisite hospitality. 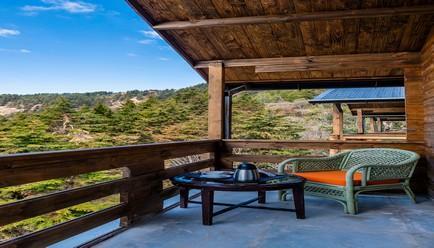 It is the best way to spend some time in the Himalayas away from the hustle and bustle of city life. 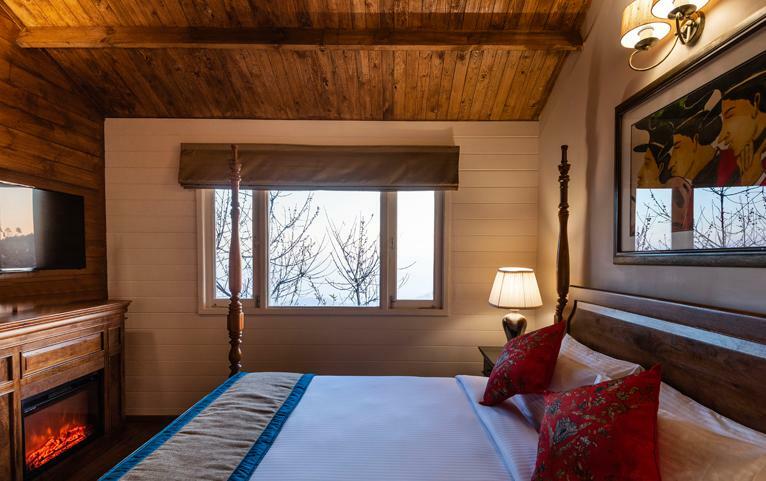 The herb-scented air invites you to cozy cottages lined up amongst a 5-acre stretch of apple orchards. With icy cold waterfalls just around the corner to breathtaking valleys and mountains, there is so much to explore around the resort. A small town created in 1825 by the British during the colonial period, Mussoorie is the kind of place where you cannot miss for a vacation. 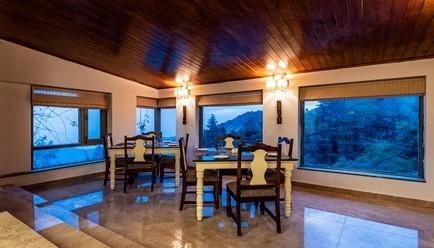 Home to one of the most charming authors, Ruskin Bond, Mussoorie offers beautiful mountain scenery, views of the foothills of the Himalayan massif and the plains, pretty houses nestled on the mountainside and not to mention a very friendly atmosphere. 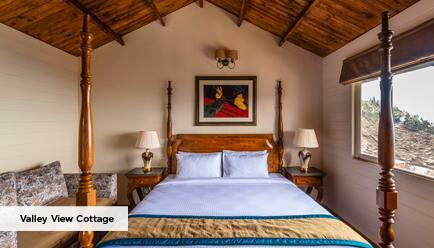 Enveloped in apple orchards, this boutique stay is your perfect distressing point yet a favourite of adventurers too. From waterfalls and zipliners for the active vacationer to lazy strolls around the pine trees forest and a hammock for the laid back souls, LA Ri Sa has a lot of surprises in store for you. 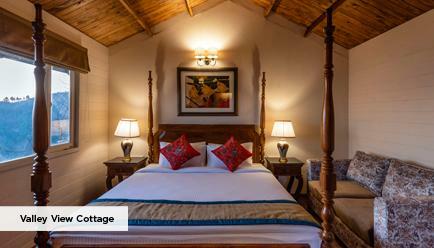 Each of the rooms live up to the meaning of La Ri Sa – La means above, Ri is the mountains and Sa is earth. 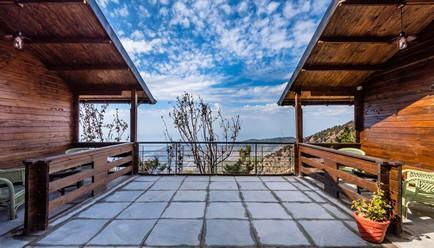 Combining the warmth of earth and the spirit of the mountains, the room offers a view of the enchanting valley which is above all the experience you’ve ever had. Extra Guest Policy: Where applicable, an extra adult can stay at a surcharge of INR 3400 per night, with an extra bed and the inclusions available in the package, payable directly at the resort. Child Policy: A child (aged between 0-5 years) may stay free of charge. Where applicable, a child aged between 6-12 years may stay at a surcharge of INR 2400 per night, which includes an extra bed and the inclusions available in the package, payable directly to the resort. Library: Get tucked in a hammock and read to your heart’s content on this holiday. 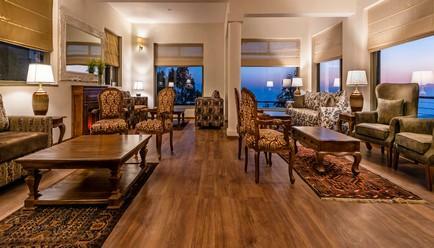 The resort has a well-decked library. Kitchen garden: The scent of the herbs is the essence of the resort and the fresh produce from their garden makes the dining experience exclusive. Dining: Unwind after a day at the multicuisine all-day Diner which spoils you for choice with a wide selection of cuisines from local to Asian, Continental and much more. Spa: Pamper yourself a little extra with the spa therapies and massages. Much required after a tiring day hiking or strolling in the mountains. Other features: The hotel offers best in class services, is pet-friendly and is located in close proximity to the Mall Road. The hotel can also arrange bike rentals. The nearest airport is Dehradun. Private cabs can be arranged for Mussoorie from the airport. 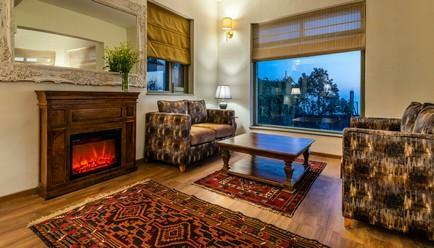 You can also opt for a flight to Delhi or Chandigarh and travel to Mussoorie by road. It takes about 7 hours to reach here from Delhi. You can reach Delhi from all the major metro cities in India. Direct trains are available from Delhi to Dehradun. If you are traveling from other parts of the country, connecting trains can be booked up to Delhi and further to Dehradun.